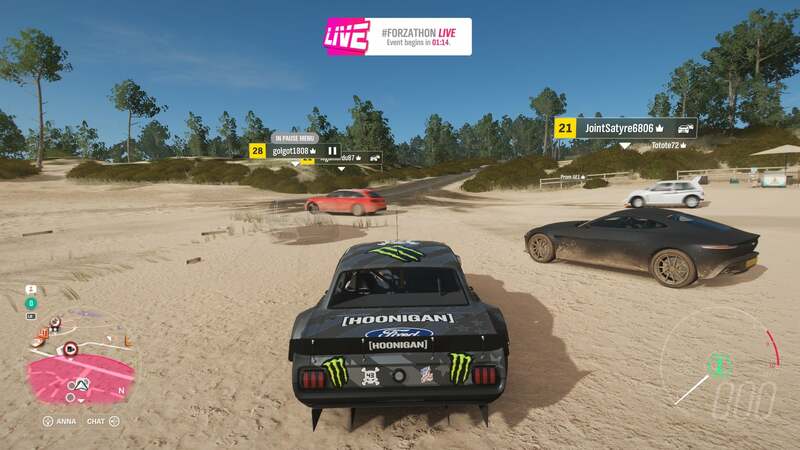 The release of Forza Horizon 3 two years ago firmly established the Horizon franchise's place as a fan favourite amongst the Xbox community. 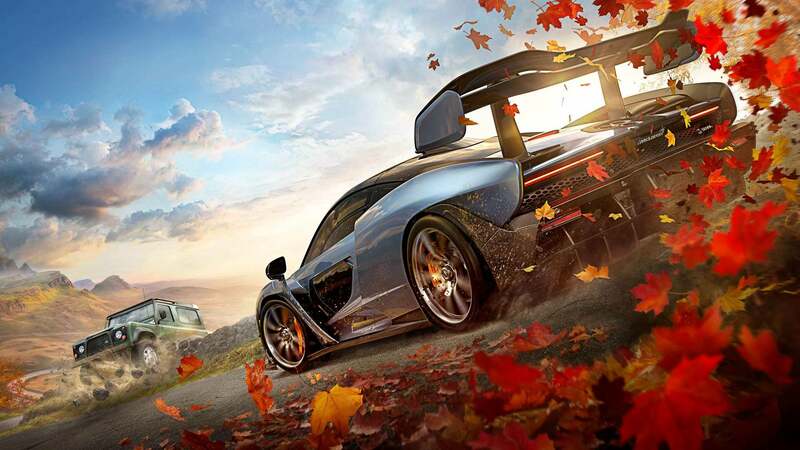 With glowing reviews from both critics and gamers alike, and the game’s developers now sitting proudly under the Microsoft Studios umbrella, the pressure is on for Forza Horizon 4 to maintain the pace that has seen the series become the leader in the racing genre. Impressively, Playground Games has once again found another gear as it effortlessly leaves its competitors trailing in its dust. As you get behind the wheel of Horizon 4’s opening tutorial race, it will be almost impossible for returning players to not feel a comforting sense of familiarity as you race along the road at daring speeds towards the Horizon festival’s starting point. The handling of the car feels just right, the vistas on display are stunning, and the music feels like it was written for this very moment. 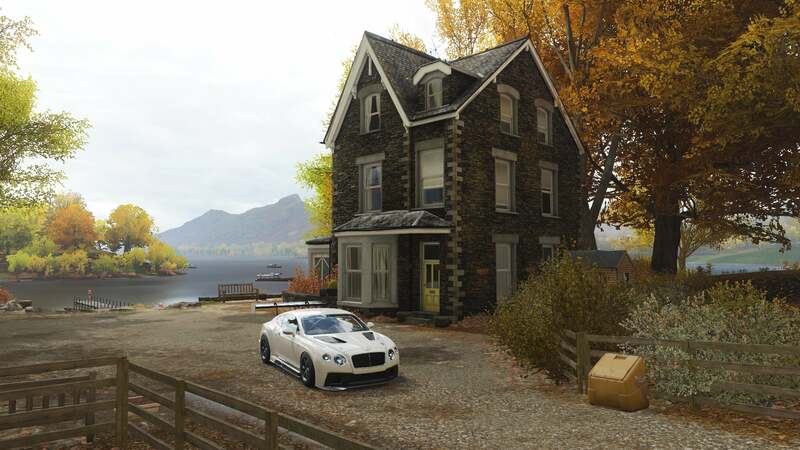 Within a few minutes of driving, however, you’ll witness the biggest and most talked about change in this year’s sequel, as the dry roads and brown and yellow colour palette of autumn transitions in to winter, you begin to skate around on the snow and ice-covered roads and trails looking for grip. “Seasons change everything” might sound like a catchy buzz phrase created by the higher-ups in Microsoft’s marketing department, but the truth is, they really do, and it’s absolutely a change for the better. This is no longer the best summer holiday you’ve never been on, with the need for expansion packs to throw some extreme weather into the mix. The premise behind Horizon 4 is that it’s a festival that never ends. 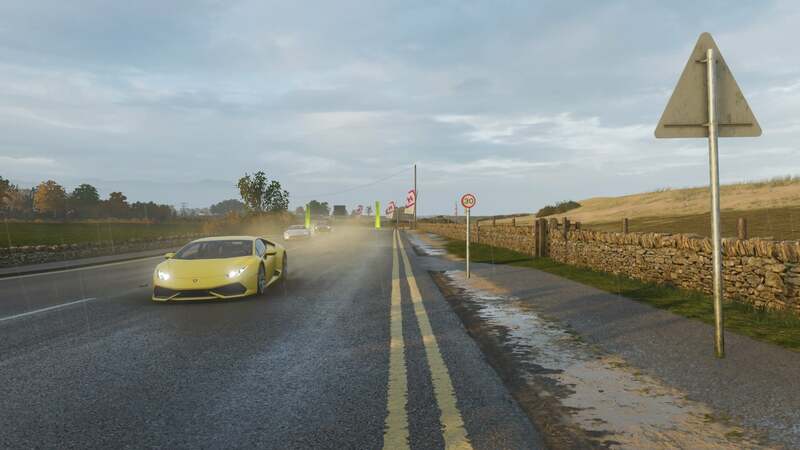 This is "Forza Life," where you’ll get to see the full extent of Britain’s changing weather, with each passing season altering both the gameplay experience and the visual appearance of the world in different ways. Some of the changes between seasons are subtler than others, with winter obviously providing the biggest difference in both visuals and gameplay, but there is definitely something new to discover and learn about Horizon 4’s world, no matter which season you’re currently racing in. You get to witness each of these seasonal changes first hand in the five- to six-hour-long prologue, which is classed as year one in the game. Here you’ll gradually be introduced to some of the game’s new features, with the seasons changing as you progress through different stages of your career from rookie driver to qualifying for a spot on the Horizon roster. Once the prologue is complete, Horizon 4 truly opens as you transition into year two of your time at the festival and join the game’s shared world servers, where the seasons change weekly and are synchronised across every player in the game. On top of the seasonal changes, Playground has once again refined and tuned different aspects of the gameplay experience to make Horizon 4 the most polished and slickest release in the series so far. The game’s main career mode is one such area, with each racing discipline and activity in the game now featuring its own progression system within the new My Horizon Life menu. Everything from completing race events to racing through speed traps, taking in-game photos and completing skill chains will reward you with influence, which when earned will increase both your overall level in the game and the corresponding level for that activity. As you level up, you’ll receive rewards such as new cars, credits, wheelspins, emotes and items of clothing for your avatar, giving you a constant feeling of progression, even when you’re not racing around the track to become the number one driver. This also allows for a more structured career path than in Forza Horizon 3, whilst also giving the player more choice than ever before to choose between the varying types of race to take part in. Rather than multiple different race types needing to be completed to level up an area of the festival, each of the main racing disciplines is now included in their own series, with more races in that series unlocking as you raise its level. If you hate driving in Cross Country races, for example, that’s fine. You can concentrate on other activities first and still unlock new races without being held back by needing to obtain a certain number of overall fans to expand the festival further. There's even more choice at your fingertips for each individual race too, despite you no longer being the boss of the festival this time around. The Blueprint system returns, giving you the chance to tailor almost every aspect of each race to suit, with all the functionality from Horizon 3 of sharing your creation with other players or choosing one that someone has already made. You can now also choose to play each race in solo, with up to six teammates in co-op, against up to 12 other players in PVP, or against the clock in rivals, all from within one menu without having to switch between different instances of the game or spending time waiting in loading screens. Being a shared online world, you can now easily invite friends to join your convoy, invite other players on the server into your events and accept invitations with little to no fuss. Invite a friend who is on another server to join your convoy and everything is done in the background as they seamlessly switch into your instance of the game without even having to pull over at the side of the road. It’s extremely well executed, to the point that all the hassle of playing in co-op and online in previous versions of the game have been completely removed. There’s also the new and improved #Forzathon which takes advantage of the shared world by offering hourly, daily and weekly challenges for you to take part in. The daily and weekly challenges aren’t too dissimilar to the ones from previous Horizon and Motorsport titles, but the hourly ones are something completely different and can prove to be quite addictive. More like public events in Destiny, players on the server will receive a notification and the location of the next event to start. Once there, everyone involved must team up to complete three challenges which can vary from earning a total number of skill points in a specific area of the map, jumping a total distance from a danger zone, or building a combined score through a speed trap. Upon completion of each of the different Forzathon events, players will be rewarded with a special currency which can be spent in the Forzathon shop on different items that will change each week. For some, the thought of other players racing around your version of Britain might sound like a negative point but have no fear. Other players you come across in the world will fade into a ghost should you come into close contact, meaning there’s no griefing or anything of that nature to halt your progress. For the most part, it’s barely noticeable that other players are in your world unless you are a willing participant in that side of the game. If that’s still not enough to put your mind at rest, you can always switch to Horizon Solo, with Drivatar’s replacing real-life players to offer an experience similar to Horizon 3. 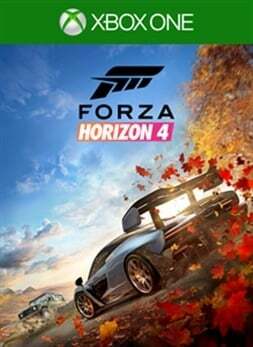 If you want a change from the standard races that will no doubt make up most of your time with the game, Horizon 4 provides an almost overwhelming number of activities that have become the staple of the series. 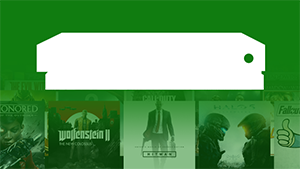 From PR stunts with their own leaderboards that will have you constantly trying to better your rivals' scores, to the fan favourite showcase events where you race against planes, trains and even take part in a Halo themed training exercise, there's always something to keep you coming back to the game. With the addition of seasons, there’s also the added replayability of trying previous races to see how things change under different conditions and even special themed events that will only be available in certain seasons. Forza Stories is another new addition that improves upon and replaces the Bucket List challenges from previous games in the series. The formula is very similar, race to this part of the map in a set time, don’t cause any damage to a vehicle and that type of thing. However, they now come with some context and often amusing dialogue which will see you performing as a stuntman for a new blockbuster movie, impressing the fans of a streaming celebrity, and owning your own luxury car rental service. You can even try your hand at joining the property ladder, with various houses now available to purchase across the map. From quaint cottages to castles, each one will give you some bonus abilities when owned such as being able to use fast travel to any road around the map. They also act as a resting place for your avatar, which like previously in the series, can be chosen from a small selection of pre-designed heads. You now have the ability to customise their clothing in a large number of different items, which will be awarded through progression and wheelspins. The new avatars also feature more prominently after races, with emotes giving you the option to dance, dab and wave at other racers similar to Fortnite. As the in-game avatars act as new characters in Horizon 4, so too does the location of Britain which is undoubtedly the most important character of all. After seeing what Playground has done previously in North America, Europe and Australia, it should come as no surprise that the recreation of the studio’s homeland is stunning. The world might not appear to offer as much variation in the colour palette as Australia’s landscape despite its similarly sized map, but with four almost completely different takes on the world for the changes in season, there’s more to discover than ever before. New for Horizon 4 on the Xbox One X is the ability to choose between playing at 60 FPS in 1080p resolution or 4K at 30 FPS. Both offer stunning results, although there have been some very occasional hiccups that have caused the game to freeze very briefly for a second or two in both modes. On the vanilla Xbox One, where the game is locked at 1080p and 30 frames per second, the experience so far has been faultless. 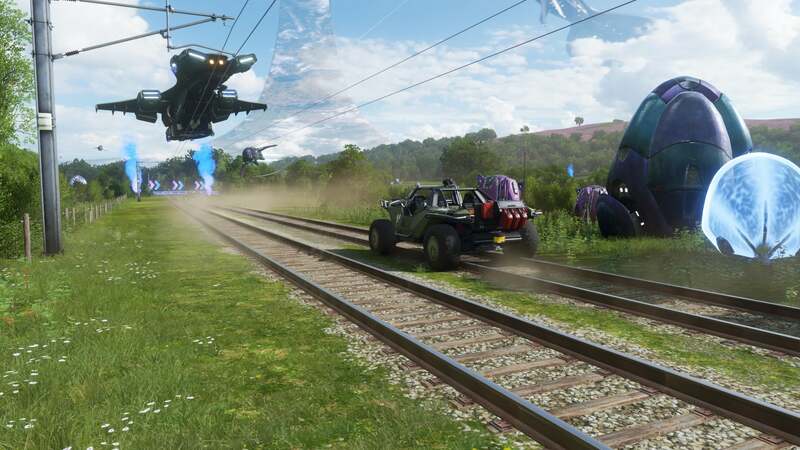 In terms of the achievements, Horizon 4 offers a similar list to previous releases in the series, with the vast majority of the achievements being unlocked via natural progression in the game's career, through exploration, and by taking part in specific races and events. With no need to complete exhibition and championship races at every location, the list will likely require a lot less grinding than previously, although you will need some skill to earn three stars at all of the PR stunt locations and reach some of the more difficult bonus boards. This game was featured in our Best Xbox One Racing Games Available in 2019 article. Why not check it out to see what else made the cut? 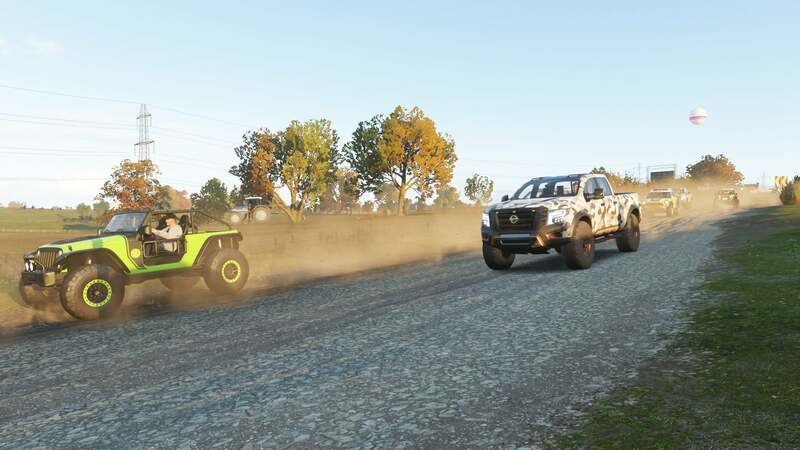 By this stage, it should come as no surprise that Playground Games finds a way to raise the bar for each release in the Horizon series, and they've once again found another gear in Forza Horizon 4 that leaves its competitors trailing in the dust. The roster of cars is bigger than ever, the setting of Britain is stunningly recreated down to the finest detail, the shared online world is a resounding success, and the addition of seasons adds something completely new and unique to the series both in terms of the gameplay and the aesthetics of the world. I don't know how they do it, but Playground Games has once again set the standard for other racing games to strive for. The reviewer spent approx. 27 hours touring the roads of Britain whilst racing to the top of the Horizon festivals leaderboards, unlocking 34 of the game's 55 achievements along the way. A digital copy of the game was provided by the publisher for the purpose of this review.